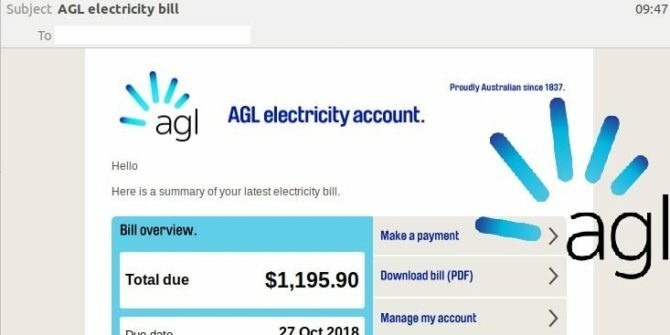 October 12, 2018: New email scam alert: Fake AGL Electricty bill – ActivateIT! Unsuspecting recipients who click on the ‘Download bill (PDF)’ button in the email are led to a compromised WordPress website which then redirects to another compromised site. Recipients are then receiving a prompt to download a ZIP file, containing a malicious payload. The email actually comes from one of a large number of compromised WordPress websites that are linked to in the email. Cybercriminals know people can be tricked; that’s why they send out millions of scam messages and put so much effort into making them look convincing. People are not machines; we’re all capable of making bad judgement calls.